Click here to download our company's Fact Sheet. 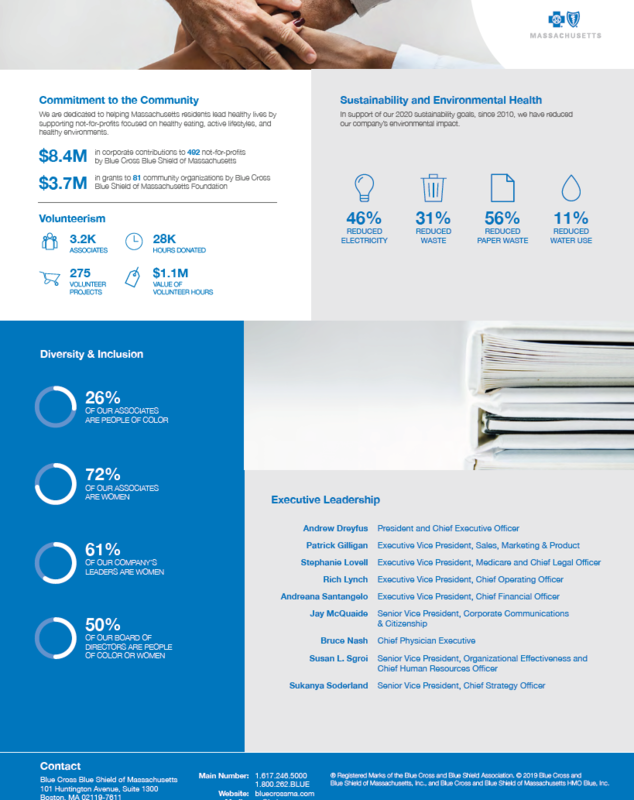 Blue Cross Blue Shield of Massachusetts is an Independent Licensee of the Blue Cross and Blue Shield Association. 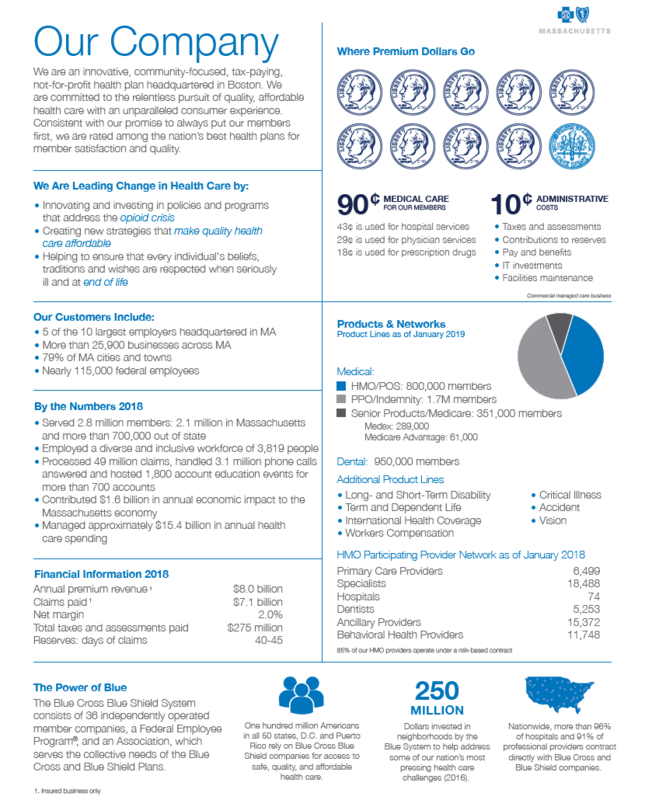 ® Registered Marks of the Blue Cross and Blue Shield Association. ® ´, ® ´ ´, TM, SM Registered, Service, and Trade Marks are the property of their respective owners. © 2019 Blue Cross and Blue Shield of Massachusetts, Inc.., and Blue Cross and Blue Shield of Massachusetts HMO Blue, Inc.